Keybrid blank for SC1 keys/locks. 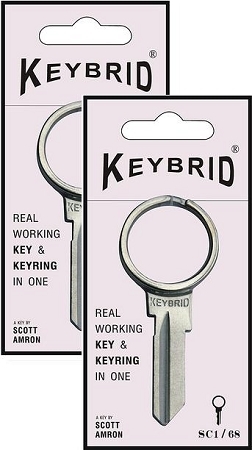 Keybrid blank for KW1 keys/locks. 95% of front door keys in the United States, Canada and South America use one of two key blanks: SC1 or KW1. 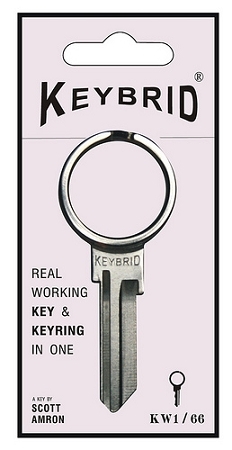 That means the Keybrid can become YOUR front door key & key ring!